Woah - what a week. I'm sitting in the lobby of a hotel in New York, and quite a lot has unfolded since I last checked in. The short version is: I flew to New York for the James Beard Awards, and then (holy s**t) I won one. I'm making my way back home now, and my fingers are crossed that some of my photos from the past few days turn out. In the meantime, I'll leave you with this. 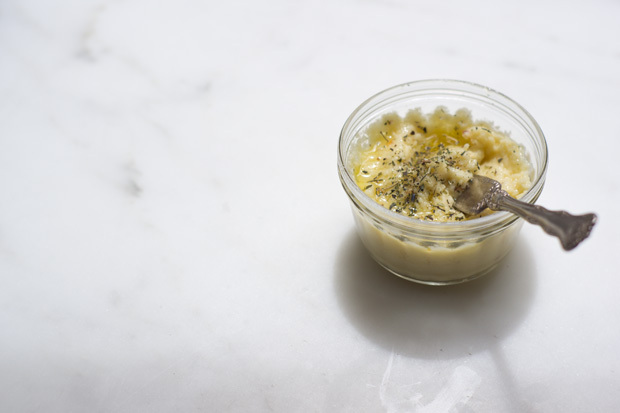 It's a Parmesan spread I make now and then, one I like for a number of reasons. 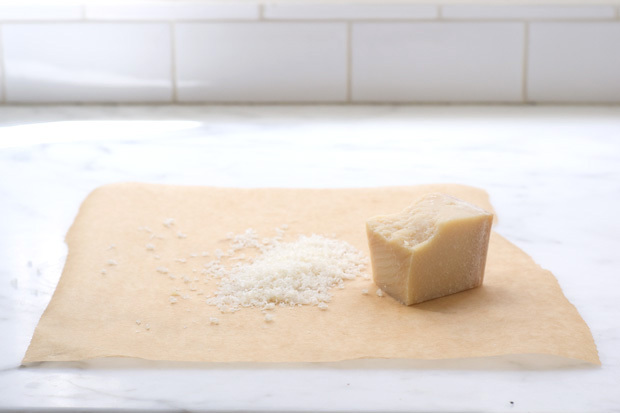 You grate good Parmesan whisper-thin into a pot. Then combine that with a splash of white wine and a big glug of olive oil. That's really it. It's one of those stupid-simple, homemade, tastes-really-good things you can make in no time. If it gets lost in your refrigerator for a week, no worries, it's that much better when you rediscover it. 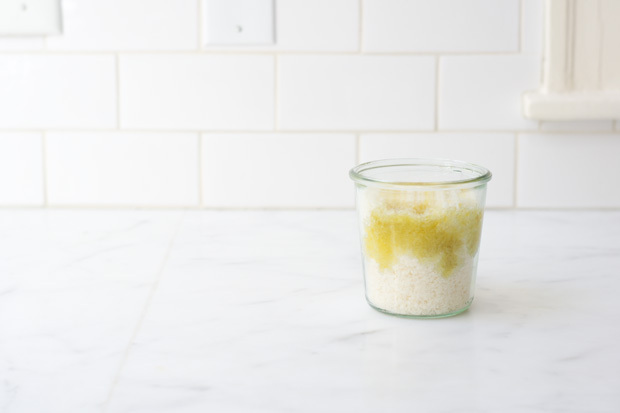 Once you've made this base, it can hang out in your fridge for a week, or two, - or even three. Ready to use whenever (and, on whatever) you like. It's also completely customizable on a whim. You can stir in any number or herbs, spices, dried or fresh fruits (before serving) to take the spread in whatever direction you like. I noted some suggestions in the recipe below. It's good on crostini, sandwiches, and tartines. It's good spread in the bottom of a tart crust. It's good drizzled with a bit of honey or as part of a cheese / antipasti platter. You're going to want to use a Microplane grater here - the finer and whispier the cheese is grated, the better. this is also a perfect fit for Pecorino cheese, and I've been working on an aged gouda version using a bit of IPA (India Pale Ale) in place of the wine you see here. You can take this general idea in many different directions. When I want to serve the cheese, I typically scoop out a bit into a separate smaller bowl or plate, and incorporate any add-ins (or drizzles) at this point. Makes ~1 1/2 cups of spread.